Keeping in mind the varied necessities of our patrons, we are involved in providing a wide range of Automotive Tubular Components. The vary of VRV Refnet Joints offered by us are manufactured by latest technology and meet the precise usage demands for VRV Solution. We are instrumental in manufacturing and supplying our clients a wide range of Tubular Bell Parts. - Used as stand-offs, bushings, tension sleeves, compression limiters, axles and pins. Tubular sheat frame, size 152cm long x 33cm wide. Specifically designed foam padded seat is fitted with four nylon wheels that slides smoothly over the frame. Two high tension springs attached to the seat for leg exercises and three light tension springs are fitted with two handles for rowing exercises. We are one of the prominent manufacturers and suppliers of Tubular Components that are appreciated by clients for features such as unmatched quality and unsurpassed performance. Machined using quality approved raw materials and latest technology in our manufacturing unit, these are at par with International quality standards. We are engaged in providing a first class range of Tubular Components that have been manufactured using quality materials of construction in state of the art facilities. These are exported worldwide and serve wide industrial applications, mainly the automotive and general engineering industries. Our company is instrumental in manufacturing tubular welded assemblies to match each customer's complexity and volume requirements. 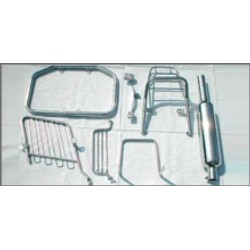 Owing to our domain expertise and vast industry experience, we are able to cater Welded Assemblies as per our customers' needs in an efficient and effective manner. 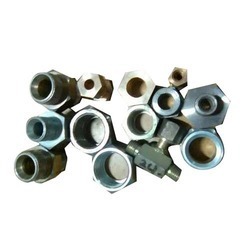 We manufacture the Tubular Formed Parts for different kind of machines. The standard tubular shaft consists of a tube and the connecting components, normally a stubshaft, tube yoke and/or a three arm flange. Metallic tubular shafts are welded. Ravian Engineers (I) Pvt. Ltd. This solution is chosen for more premium front-wheel-drive applications where the UF joint provides high articulation for a small turning circle and the AAR joint allows higher installation angles with excellent NVH and durability performance. In combination with the MTS the sideshaft is tuned for light weight, optimised stiffness and the highest level of ride comfort.